Triathlon has seen huge changes in the past few decades; it has grown in popularity; been recognised as an Olympic sport; and witnessed a rapid increase in standards of performance at all levels. These changes have been accompanied by major developments in training principles and methods. 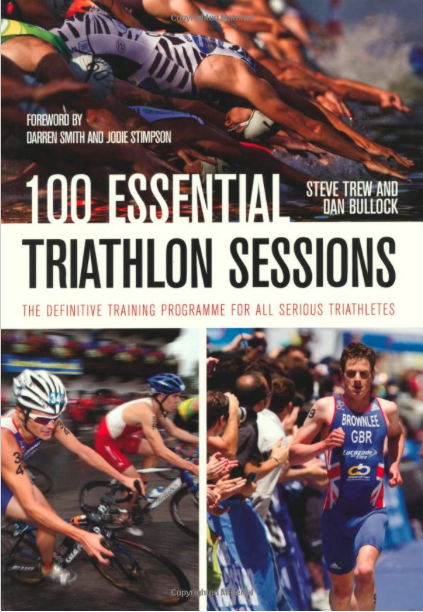 Two of the UK’s top triathlon coaches, Steve Trew and Dan Bullock, have teamed up to write 100 Essential Triathlon Sessions, the definitive training programme for all serious triathletes. These 100 sessions – 30 swim, 30 bike, 30 run and 10 Brick – have been developed and honed over many years and have proved effective in improving performance. Click here to purchase on Kindle or Paperback from Amazon.co.uk.